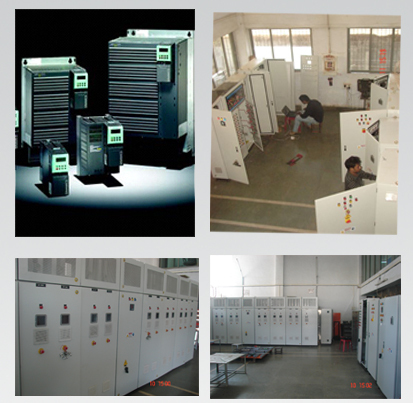 Grups automation has vast experience in manufacturing VFD and PLC based control panel. 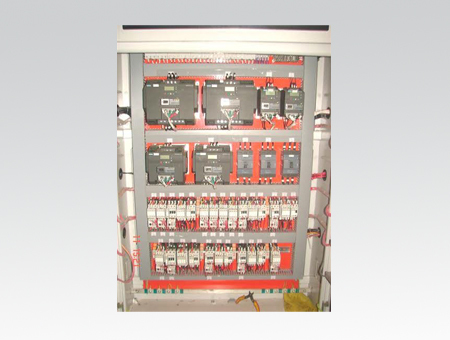 For every automation panels it is necessary to used combination PLC and Drive system . Grups has expertise to design and built PLC and VFD based control panel as per clients requirement to meet control philosophy received from clients . Design of the PLC and VFD panels is such that there won’t be magnetic interference of electromagnetic field generated by VFD with signal cables of the PLC. Grups provides proper Power as well as isolated instrument earthling for whole system. • Siemens VFD for Simple pump and fan applications in the process industry. • Siemens VFD for Complex single drives in centrifuges, presses, extruders,elevators, as well as conveyor and transport systems. • SIEMENS Drive line-ups in textile, plastic film and paper machines, as well as in rolling mill plants. • SIEMENS SINAMICS Highly dynamic servo drives for machine tools, as well as packaging and printing machines.